In my last two posts i wrote about upgrading ESXi and vCD from 5.1 to 5.5. 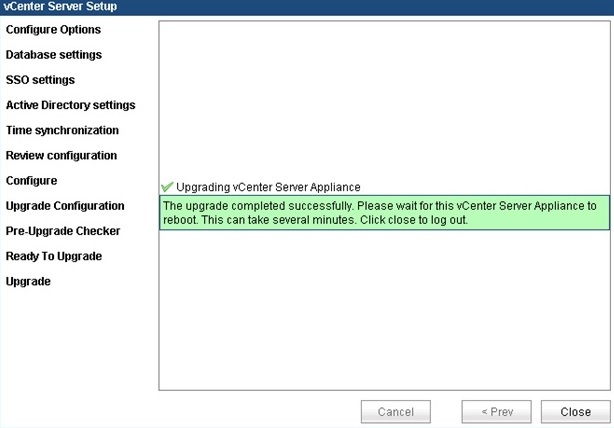 In this post we will look at vCSA upgrade. 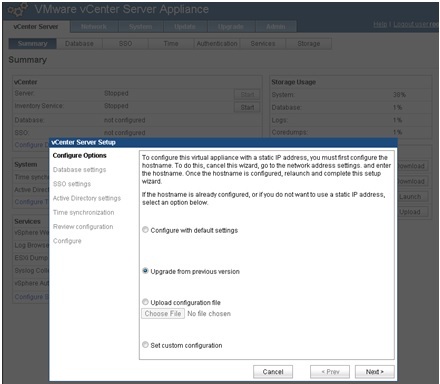 Deploy the Virtual Center Server Appliance 5.5 OVF/OVA on your supported ESXi like you did with your vCSA 5.1. After deploying the open your web browser and point it to https://<vCSA-ip>:5480. default username is root and password is vmware. After logging in accept the EULA. If the Key is valid and accepted it will give the below message. 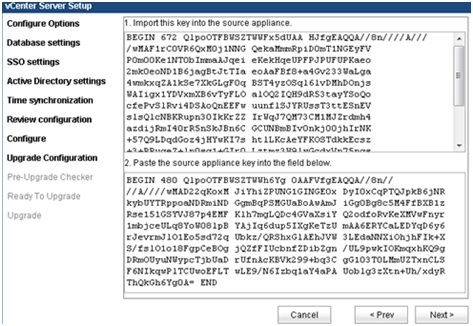 This will in turn generate a upgrade key on vCSA 5.1. 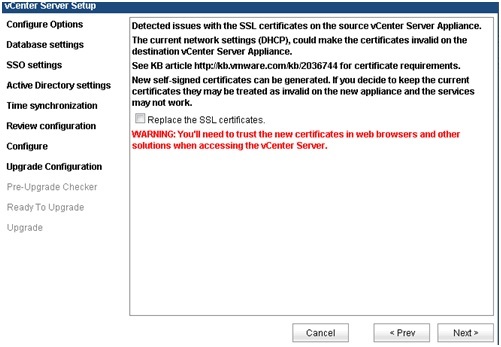 If there are issues detected with your SSL certificates, select the Replace the SSL certificates option. 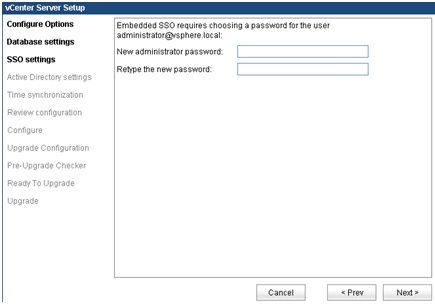 You are prompted for SSO password for user administrator@vsphere.local. Review the list of hosts managed by the source appliance and ensure that all hosts to be managed by the new appliance are selected. Confirm that you have taken a backup or snapshot of the source appliance and the external database and click Next. The new appliance shuts down the old appliance and assumes the network identity of the old appliance. If the old appliance was configured to use dynamic addressing, the new appliance also uses dynamic addressing. When the import completes, the new vCenter Server Appliance starts. When the upgrade completes, click Close. 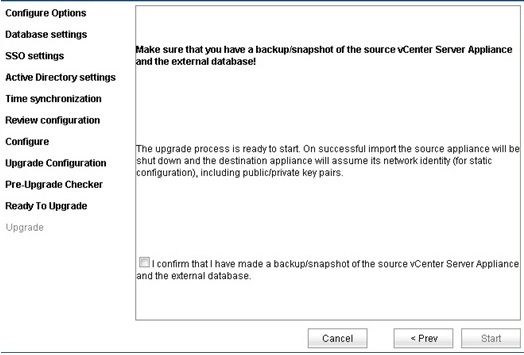 vCenter Server Appliance is now upgraded and the new appliance reboots. Have any information on 5.0 to 5.5? The process is still the same.